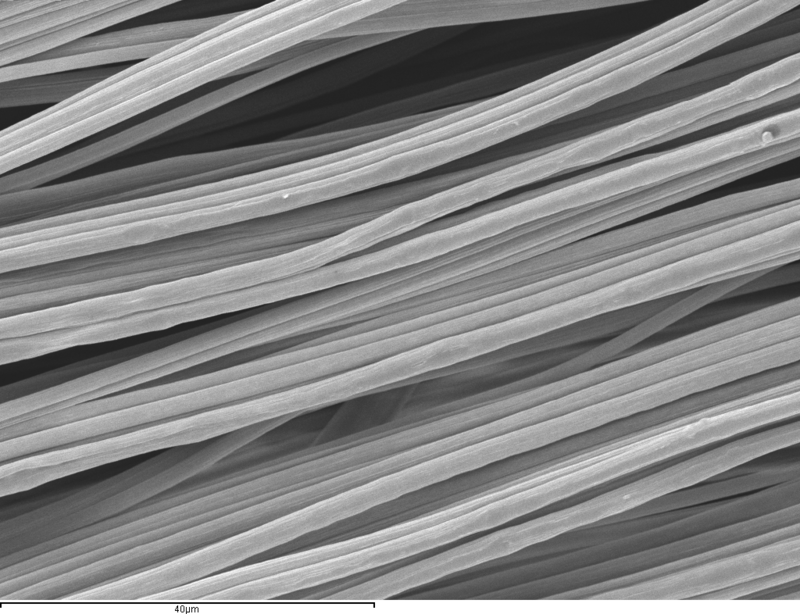 Electrospinning is a suitable technique to produce nanofibers mats. In the electrospinning process, a solution of the polymeric material in an appropriate solvent is projected from a metallic needle to an electrically conductive collector by a strong electrical field applied (betwee 0.25 and 3 kV/cm). The action of the electrical field forms a jet that travels between the needle and the collector. This action causes the evaporation of the solvent and so precipitates submicron or nano-fibres on the surface of the collector. In the case of a static flat collector, the accumulation of electrospun fibres produces a mat of randomly oriented fibrils, whereas a high-speed rotating collector can orient the fibrils in the direction of the surface displacement. An applications for electrospun mats is to act as supports or vehicles for cell culture, or cell implantation, in tissue engineering strategies. In these techniques, the regeneration of a damaged tissue or organ is induced by transplanting differentiated or pluripotential cells to the site of the damage in order to produce and organize an extracellular matrix for regenerating functional tissue. It has been shown that to achieve this effect most of the cells need a substrate, to attach themselves before proliferating and differentiating to acquire the correct phenotype. Silva, C.; Luz, G.; Gamboa Martínez, TC. ; Mano, JF. ; Gómez Ribelles, JL. ; Gómez Tejedor, JA. (2014). 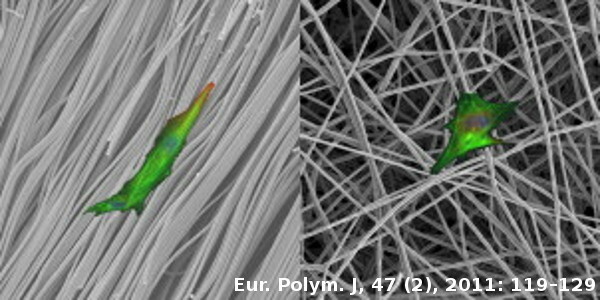 Poly(epsilon-caprolactone) electrospun scaffolds filled with nanoparticles. Production and optimization according to Taguchi's methodology. Journal of Macromolecular Science Part B Physics. 53(5):781-799. http://hdl.handle.net/10251/51249. Areias, A.; Gómez-Tejedor, JA. ; Sencadas, V.; Alio, J.; Gómez Ribelles, JL. ; Lanceros-Mendez, S. (2012). 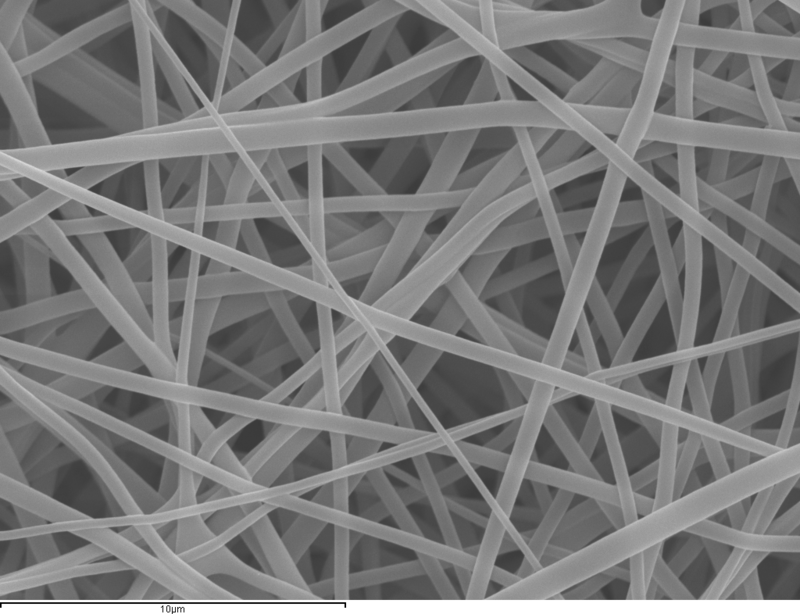 Assessment of Parameters Influencing fiber characteristics of chitosan nanofiber membrane to optimize fiber mat productioi. Polymer Engineering and Science. 52(6):1293-1300. http://hdl.handle.net/10251/40304. Gómez-tejedor, JA. ; Rico Tortosa, PM. ; Gómez Ribelles, JL. ; Van Overberghe, N. (2011). Assessment of parameters influencing fiber characteristics of electrospun Poly(ethyl methacrylate) scaffolds. European Polymer Journal. 47(2):119-129. http://hdl.handle.net/10251/31953.